Christopher Fletcher earned a well-deserved reputation of being a tireless and effective advocate at the place where it truly counts: the courthouse. In just his fourth year of practice, he was recognized as one of Houston’s Top Lawyers by H Texas Magazine. Rigorously trained as a trial lawyer at the famously intense Baylor University School of Law, Chris graduated with top honors and hit the ground rolling. In a short amount of time, Chris has secured justice for numerous injured clients and is fast becoming known as Keith Fletcher, version 2.0, for having the demeanor of his father combined with a passion for innovation. 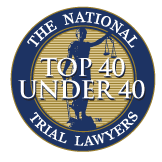 Perhaps,that is why Chris was named a Top Lawyer by H Texas Magazine from 2013 through the present and he was named one of the Top 40 Under 40 by the National Trial Lawyers 2016-2019. Or perhaps it is because Chris refuses to be intimidated by any faceless and godless corporation refusing to do what’s right. Unjust insurance companies should note: Chris Fletcher is willing and able to fight them to the end. 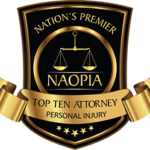 Chris is also a member of the American Association for Justice – Trucking Litigation Group, an organization of lawyers devoted to fighting for the victims of commercial motor vehicle crashes. If you or your loved ones have been hurt in any crash involving an 18 wheeler, bus, dump truck, or any other commercial vehicle, Chris Fletcher will make sure the company responsible for causing the injuries pays all the compensation they owe. If you need an effective, tireless, and skilled attorney in your corner, Chris Fletcher is ready, willing, and able to fight for you. Chris is a member of St. Philip Presbyterian Church in Houston. He is married to Jacqueline Teoh. Texas Bar College 2016, 2017, 2018.